Our roster of special Novelty Entertainers includes talented professional STROLLING JUGGLERS. 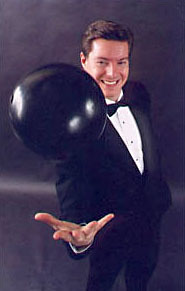 The Juggler will circulate among guests, perform juggling feats, interact with and amuse the audience. This fascinating form of entertainment delights people of all ages, and will liven up any special event.